Ricky decided to go to Parma for playing Football. The body was founded in the woods. John and Kate went to the hospital where the morgue was in. John was filled with homicidal rage. 【雑記】We went to Osaka Museum of History. My wife said " I want to go to Osaka Museum of History." 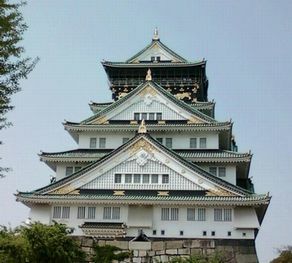 So we went to Osaka Museum of History and Osaka Castle. It was hot today. I was tired. My son went to play games at HIRAKATA with me. My son went to play Duel Master's card games at HIRAKATA with me. I was waiting to have a donut with coffee while he was playing. I was tired but he looked like happy.